Preposition Examples Sentences are discussed here. Are you learning prepositions and their uses? If yes, you should read carefully this Blog. 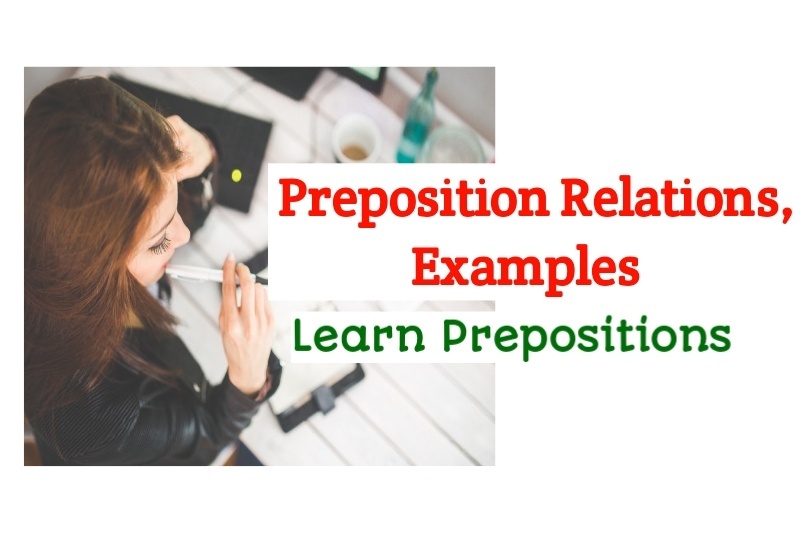 we discuss the definition of Prepositions, some freely Use of the preposition and various preposition Examples earlier post. You can read this post here. Now we discuss relations of the preposition & preposition Examples sentences. You must practice and read preposition Examples sentence . We know, Preposition indicate a relation between noun and another word in a sentence. 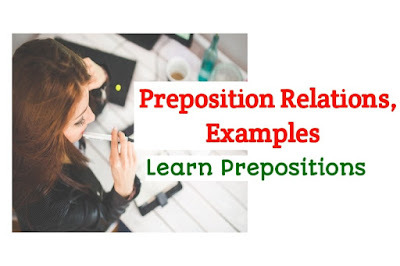 Here, you get all the Relation of preposition and preposition Examples Sentence. 1. Agency Manner : By, Of, Through, With etc. They heard of an accident through the friend. The villages were damaged by the flood. He cut the apple with a knife. 2. Cause / Reason/Purpose : For, From, Of, With etc. Hollywood is famous for Movie. It is a good place for the picnic. The beggar cried for help. 3. Direction: At, For, From, In, Into, Off, Round, To, Towards etc. We ran at the thief. Threw stones at the frog. They are turning to the right. Earth moves around the sun. He jumped into the pond. 4. Place: About, Across, Among, At, Between, Behind, Before, By, Beside, Besides, From, In, On, Through, Under, With, Within, Without, etc. He runs across the road. We Walked about the town. He fell among the boys, Ram sits between you and me. They stood before me behind the tree. They live in the USA. I have another besides this book. 5. Time : After, At, Before, During, For, From, In, On, Under, Until, Since, Till, Throughout, Within etc. He arrived at 7 p.m. He will leave before Monday. The play will begin at 4 p.m. I shall go during the vacation. They stay with me for the last five minutes. The class with begin from coming Monday. Stayed throughout the whole day. 6. Prossession : By, Of, With etc. Students should keep Dictionary By them. The Girl with brown hair. 7. Rate / Value : At, By etc. Bank Charges interest at Rs. 4 percent. He is driving at 60 km per hour. Milk is Sold by the liter.